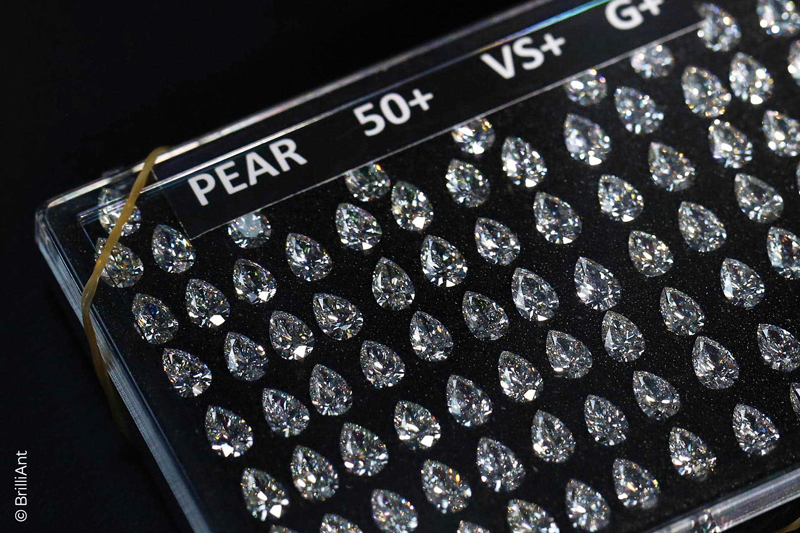 Diamonds Examiner / Uncategorized / Antwerp, diamond capital of the world? Check the answer divided into 9 sections. Antwerp is nicknamed the ‘’diamond city’’. 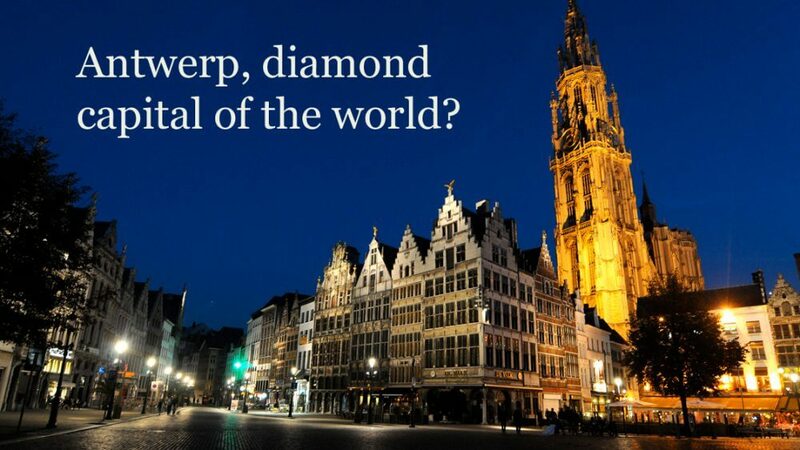 Some people even say that Antwerp is the ‘’diamond capital of the world’’! Does Antwerp deserve those two flattering nicknames or are they stolen? Read the answer divided into 9 chapters. The diamond district is no bigger than 2km2 and is just a few steps away from Antwerp’s beautiful train station. The few small streets of the diamond district are nothing else than the diamond capital of the world. No less than 150 million Euros worth of diamonds are sold there each day. The Antwerp diamonds industry employs no less than 30 000 persons. Behind the jewelry windows you will find many diamonds cutting workshops. Not less than half of the planet diamonds are cut in Antwerp. Many artisans give to these precious gems their final shape. The Antwerp diamond district like if you were there. It is incredible to imagine that those few streets have this much importance in the diamond world market. Although it is open to the public don’t be surprise to know that this district is well protected. Police forces are very present within the street of the diamond district: Pelikaanstraat, Hoveniersstraat, Schupstraat and Rijfstraat. Numerous cameras also monitor the district. 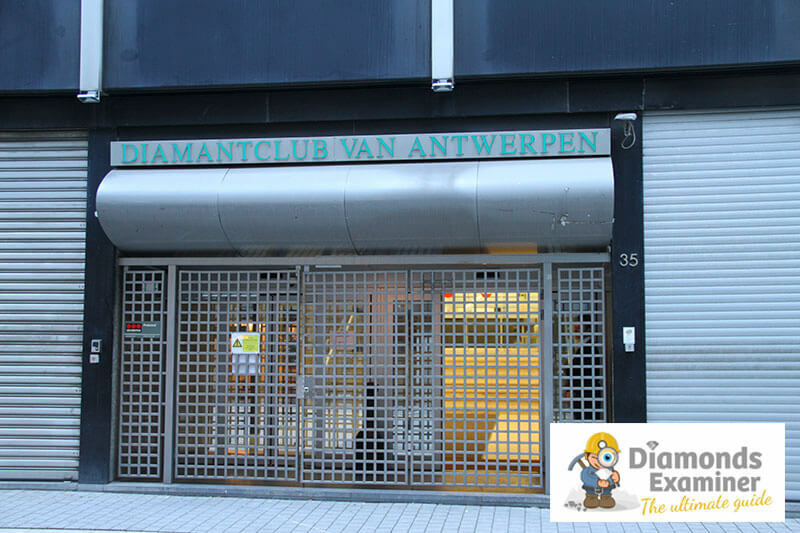 In addition to the precious stone cutting, polishing and crimping workshops, the diamond district accommodate 4 of the biggest diamond bourses including the world oldest one: the ‘’DiamantClub van Antwerpen’’ or the ‘’Diamond club of Antwerp’’. A diamond bourse is a place where diamond dealers, brokers and makers meet to buy and sell diamonds. Everybody can’t access those bourses: the admission rules are very strict. The diamond bourses govern in a very strict way the way business can be done. Rough or polished diamonds and precious stones are negotiated within these stock markets. Do you understand now better why Antwerp is the diamond city? Rumor has it that 80% of the world rough diamonds pass through Antwerp. Impressive isn’t it? 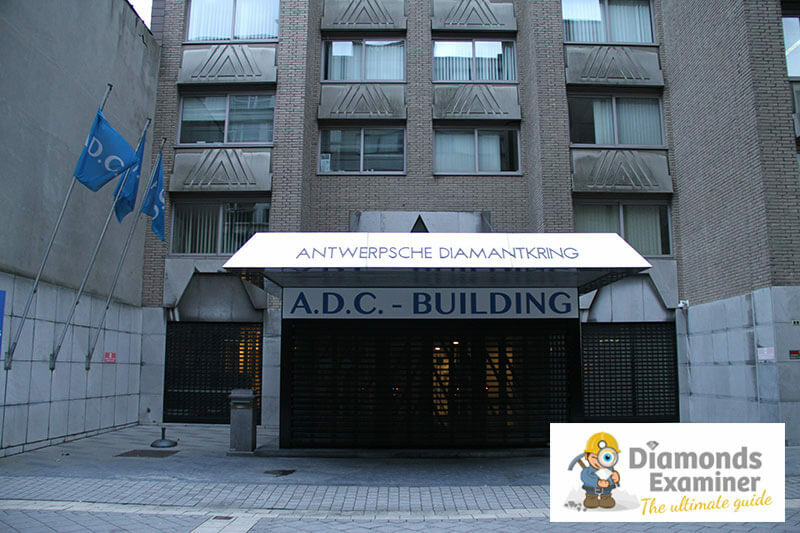 Located in the heart of the diamond district, on Hoveniersstraat street, the Antwerp World Diamond Centre (AWDC) is a public/private partnership that represent in a formal manner the Antwerp diamond industry. Founded in 1973, it has two missions: reinforce Antwerp has diamond world primary center and reinforce the public diamond image. The AWDC is at the service of everyone: from mining giants to future spouses looking for their rings. 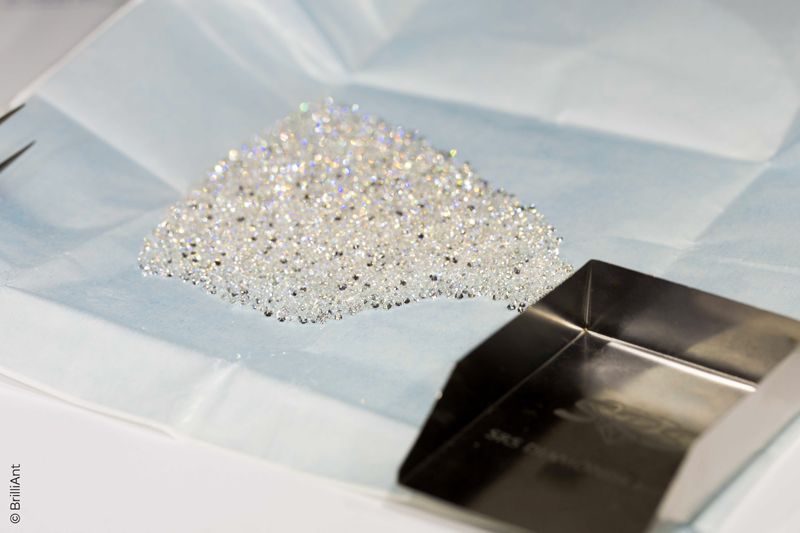 The Antwerp Diamond Fair is a trade fair organizes by the AWDC in collaboration with the diamond bourse of Antwerp, the Diamond Club of Antwerp or the Diamond Kring of Antwerp. This event brings together the 100 lager companies of the diamond industry. 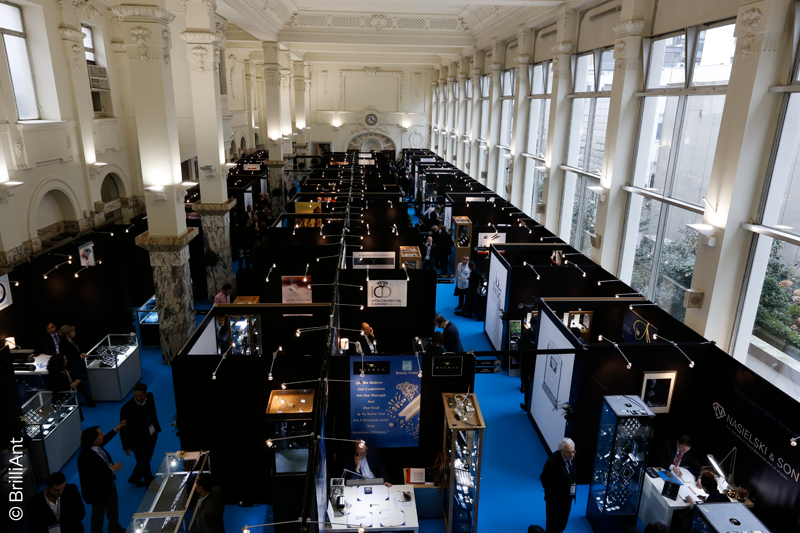 This international show dedicated to the unmounted diamonds and precious stones takes place within the 3 trading rooms of Antwerp diamond bourses. It’s a unique opportunity to admire and compare stones in an elegant place and in a relaxed atmosphere. Subsidiary of Antwerp World Diamaond Centre, « HRD Antwerp » (Hoge Raad voor Diamant or Diamond High Council) is the gemoly laboratory leader in Europe. Its laboratory is one of the three most renowned gemmoly laboratories worldwide. The HRD certificate is the written proof of a diamond characteristics. The value of a diamond depends on these characteristics. Each HRD certificate is unique and protected in the same way bank money is protected. HRD Antwerp also offers general gemology courses as well as courses dedicated to polished diamonds, pearls, selling… HRD Antwerp is also active in Botswana, Shanghai, Dubai, Hong-Kong, Israel, India, (Mumbai and Surat), New-York, Madrid and Istanbul. IGI is also one of the world key gemology laboratory. Its general headquarters are also located in Antwerp in Schupstraat, in the heart of diamond district. IGI is the world largest independent gemology laboratory. 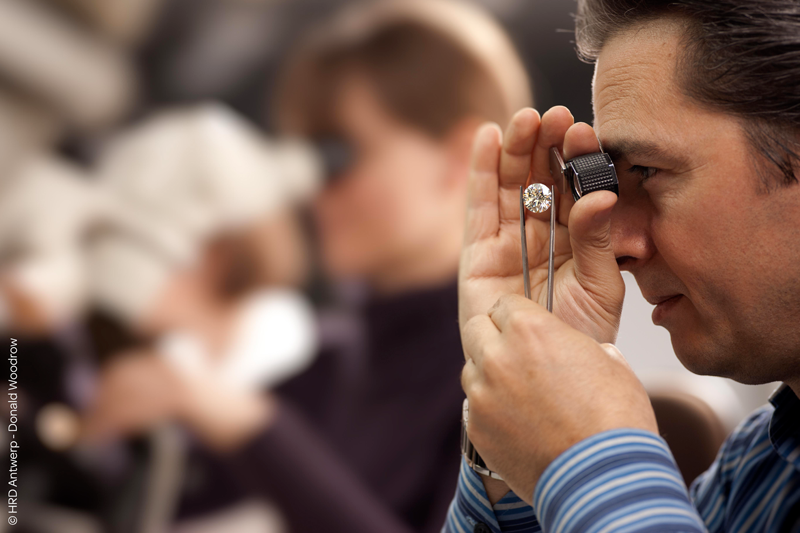 IGI also offers different gemology courses. The courses are given at different places around the globe. IGI is active in the following cities: New York City, Hong Kong, Mumbai, Bangkok, Tokyo, Dubai, Tel Aviv, Toronto, Los Angeles, Kolkata, New Delhi, Surat, Chennai, Thrissur, Ahmedabad, Shanghai, and Cavalese. IGI can certify the following stones: diamonds, natural colored diamonds, ruby, sapphire and other colored stones, pearls, jewelry and even synthetic pieces. GIA (Gemological Institute of America) is one of the most important gemology laboratory in terms of volume and one of the most well-known in the world. This non-profit organization follows the strictest standards in order to certify diamonds and other precious stones. It doesn’t have a laboratory in Antwerp but it poses an institute called ‘’Gem Lab is a GIA LabDirect Consolidator’’. This office handles the stones preparation and their shipping mainly to the United States to take the certification testes. Each precious stone then get an official certificate from the GIA gemology laboratory. Note: the diamond certificate is based on 4 criteria. The diamond weight (the number of carats), the cut, the clarity and the color. These criteria are usually called the 4 C’s for Carat – Cut – Clarity – Color. In addition to being the home of the Antwerp World Diamond Centre and of many diamond certification laboratories, Antwerp is the head office of different federations/global organizations or active influential groups in the diamond industry. Different mining groups are somehow also present in Antwerp. Here is a little glimpse at it. The World Federation Diamond Bourse is established in Antwerp since 1947. As you may imagine, its headquarters is located in the diamond district: Pelikaanstraat 62. The World Federation Diamond Bourse has for aim to advice, protect and support the diamond bourses in order to ensure the international growth of the diamond industry. It supports the bourses by establishing rules in order to guaranty the profitability of the diamond industry, to help the sustainable development of the industry, to protect the bourses reputation and if applicable to punish the members that wouldn’t respect the applicable regulations. The bourses members affiliated to the World Federation Diamond Bourse commit to respecting the rules modified by the federation, the traditions, and the mutual-trust and friendship principles prevailing among the bourses members worldwide. The International Diamond Manufacturers Association was founded in 1946 in Antwerp. It has for aim to promote values such as honesty and best practices within worldwide diamond industries as well of respect of relevant national and international laws. In order to do so, the International Diamond Manufacturers Association has adopted a code of conduct applicable to all IDMA members. This federation encourages the use of fair and honorable practices and also encourages the implantation of decent working conditions for all people who are active in the diamond production. The IDMA aim to play a leadership role on all questions related to the industry and meets every two years at the same time than the World Federation Diamond Bourse (WFDB). This biennial event is called the Diamond Congress. This congress gathers one session of general assemblies for the two organizations, where common resolutions are taken for the current problems encountered. The International Diamond Manufacturers Association has played an active part in establishing the Kimberley certification process and is the co-founder of the World Diamond Council. Langerman diamonds is one of the world leaders regarding the natural colored diamonds (often wrongly called colored diamonds). Arthur Langerman has started diamond cutting at the age of 15 in Antwerp. After a few years of practice he has created his own company and he has become an ‘’diamond maker’’. Arthur Langerman has always been passionate by natural colored diamond. His passion has quickly transformed into a flourishing enterprise. Natural colored diamonds are the rarest diamonds: only one diamond out of 10.00 is a colored diamond. Natural colored diamond now reached astronomic prices in public sales. Natural colored diamonds are already popular among collectors since a long time, they now becoming more and more well known and desired by the general public. Arthur Langerman is now nicknamed the ‘’Colorman of the diamond’’. He owns a very important collection of natural colored diamonds. Those are sometimes presented in prestigious exhibitions. Arthur Langerman and his daughter Natacha have access to the largest natural colored diamond reserves across the world. The De Beers group is an international key player of the diamond industry. He is the world leader in the diamond productions thanks to en exploration and mining exploration expertise. It is not surprising to see that he owns an auction room in the diamond district. The Umicore enterprise is the world leader in refining and recycling of noble metals. It is very likely that your Smartphone contains minerals originating from Umicore. Umicore has one headquarter and a recycling plant a few kilometers away from Antwerp. Umicore has given its name to the diamond museum temporally located at the base of MAS: ‘’ Umicore Zilverpaviljoen’’. 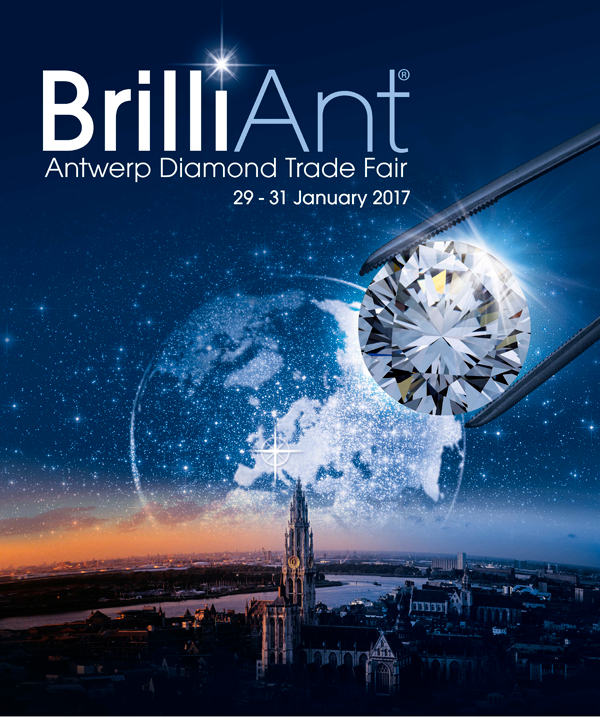 You want to go to Antwerp and buy jewelry, a white gold diamond ring or even unique diamonds, but you are afraid of scams because you don’t know much about diamonds? Here is some good news, the City of Antwerp, the AWDC, the Federal Public Service Economy and Ars Nobilis thought of you. 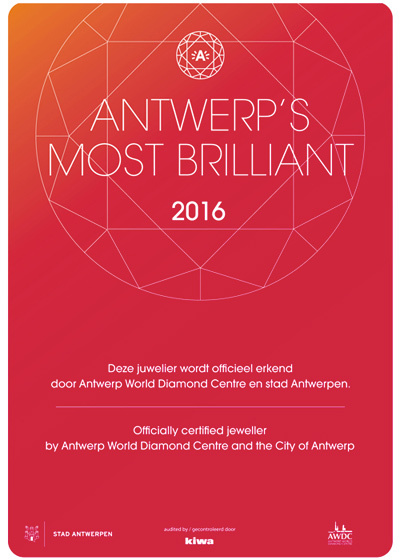 Indeed in January 2014, Anvers released a label of quality for diamond dealers: ‘’Antwerp’s Most Brilliant’’. Reinforce Antwerp image as diamond capital of the world. information on product and stability. Clearly, jewelers that acquire this label deserve it. This label is assigned for a two-years period only. When you set foot in an accredited jewelry, you know that you will find top quality jewelry and outstanding service. Who are the Antwerp’s Most Brilliant accredited jeweler and where are they install? The accredited jeweler are passionate, specialized and experts in their field. Some of them are specialized in the design and production of hand-made exclusive jewelry from the simplest to the most creative. Others are specialized in buying and selling ancient jewelry or in watch making. Whether you are looking for a gold or silver diamond engagement ring, earrings, bracelet, pendant or necklace or even another artistic creation you are sure to find just what you are looking for in one of those jewelry. Until 2012, the ‘’Diamond Museum’’ or ‘’ Diamantmuseum’ was located close to the diamond district and just a few meter away from the central station. Unfortunately it closed down a few years ago. It is unfortunate, because this superb museum was home to exceptional stones. At the same time, the largest silver museum of Flanders, the ‘’Zilvermuseum’’, has also closed down. The Sterckshof museum was located in the heart of the Sterckshof castle in Deurne, at 5 km from Antwerp. You will soon be in Antwerp and you wish to see those magnificent diamonds? Don’t worry and go to the UMICORE silver pavilion at the base of the MAS. 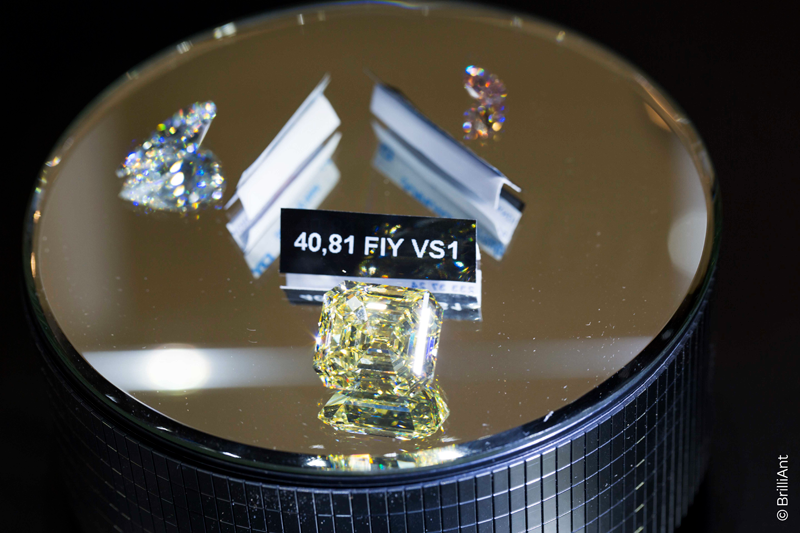 The finest pieces of the diamond museum and of the ‘’Zilvermuseum’’ are displayed and admission is free. The diamond pavilion is an association between the diamond museum of the Antwerp province and the AWDC (Antwerp World Diamond Centre). The diamond pavilion represents the past, the economic importance and many other aspects of the Antwerp diamond activity. You will discover ancient and modern jewels. After your visit, go to the top of the MAS to enjoy a 360-degree view on the city of Antwerp. While awaiting DIVA, the new Antwerp jewel. 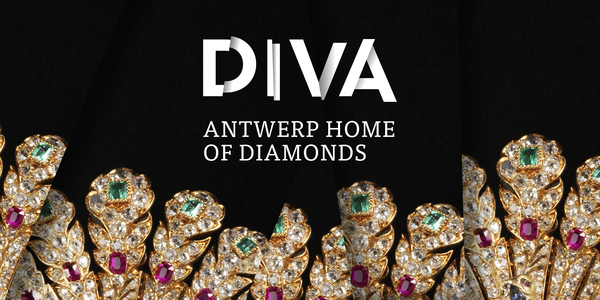 At the end of 2017 the city of Antwerp will replace its two museum by the new ‘’DIVA’’ diamond museum. This new international diamond museum of Antwerp will be locate just around the corner of the Grand Place, between ‘’Suikerrui’’ street and ‘’Gildekamersstraat’’ street, in the former buildings of the’’ Volkskundemuseum’’ and of the ‘’Etnografisch Museum’’. There is no doubt that this new star of the city of Antwerp will receive a lot of visitors thanks to this magnificent diamonds collection and thanks to its privileged location between the Grand Place and the Scheldt. ‘’DIVA’’ will allow its visitors to discover the history and the goldsmith art: the silver processing the implantation of precious gemstones and diamonds. You will discover why for centuries, the cities of Antwerp and Flanders have been known around the world to be a jewel in the production and assembly of highly sophisticated objects and jewelry. For more than 5 centuries Antwerp is at the core of the diamond market. This city located to the north of Belgium went through time of war, economic crisis, variation of the global production of rough diamonds as well as opening of new markets. Despite all that the city of Antwerp has continued to step up its diamond capital of the world status. In Middle Age Venice was the European gateway for precious materials. Venice was the main center for trans-shipping goods originating from India and thus diamonds. India was in fact the only diamond producing country at that time. In 1314 the city of Burges welcomed the first ships originating from Venice. The city of Burges quickly became the center of the diamond industry that was in full expansion. 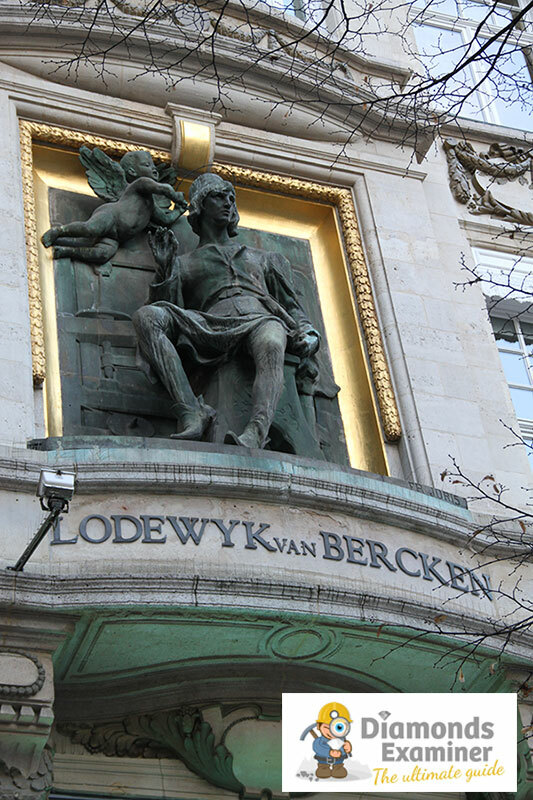 Today you can admire the Lodewijk van Bercken statue in Antwerp, next to the diamond district. It seems that this man was the first to cut a diamond with the help of another diamond. In the 15th century Antwerp has become a diamond major center. The first proof of the diamond trade existence in Antwerp was recorded when a city magistrate has established a rule in order to prevent frauds linked to false precious gemstones. In 1483 a certain Wauter Pauwels was registered with the title of ‘’diamond cutter’’ during his acceptance as a Cathedral Fraternity of our Lady’s Honour member. In 1498, Vasco de Gama opened up a trade route between Lisbon and India. This route resulted in making the Venice-Bruges itinerary obsolete. In the 16th century, 40% of rough diamonds went through Antwerp where they were cut by artisans. Their quality work was recognized and they had certainly proven their worth. A document published in 1515 is the first evidence of diamond cutter presence in Antwerp. Nevertheless, the eighty-year war broke out in 1572 and Antwerp becomes the capital city of revolution. Many protestant diamond cutters left the city and settled in Amsterdam. That didn’t stop the Diamonds Cutters Guild from settling in Antwerp in October 1582, preserving the city prestige. In 1648, the Treaty of Münster ended the eighty-year war. This treaty was forbidding the navigation on Scheldt, the river that connects Antwerp to the North Sea. This restriction that was lifted in 1863 has seriously affected the Antwerp position as diamond trading center. In the 18th century when Indian mines were practically empty, the discovery of diamonds mines in Brazil opened new perspectives. The Dutch maritime power provided to Amsterdam the control on diamonds import. The massive influx of rough diamonds provokes a sudden drop of the diamonds price. The industrial revolution also worsens the situation. The sudden drop in the Brazilian production had the opposite effect: the rough diamonds were more expensive and rarer which leaded to the closing of many cutting workshops in Antwerp and Amsterdam. The discovery of diamonds mines in South Africa provoked a diamond rush in the city of Kimberley. This mines discovery as well as the revival of the port of Antwerp coincide with the mass arrival of diamonds in Europe. Among all adventurers looking for diamonds there was a certain number of Englishmen including Cecil John Rhodes and the Harry brothers as well as Barney Barnato. These ambitious entrepreneurs merged their enterprises and created De Beers Consolidated Mines Limited. This new enterprise was the ancestor of the ‘’De Beers ‘’ group, a key player that still plays an important role in the diamond industry. 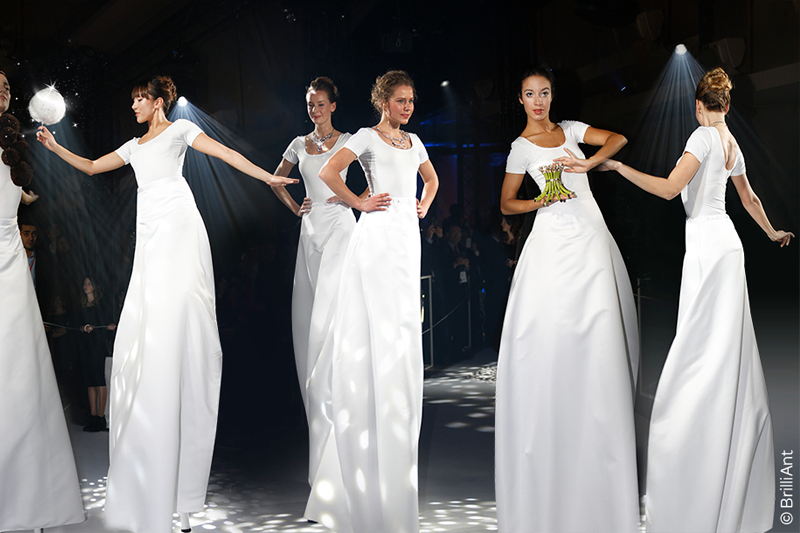 Antwerp quickly recovers at this time its role as a key player in the diamond market. Indeed, the massive influx of rough diamonds needed the labor of many professionals. The city had this qualified workforce. Antwerp once again surpassed Amsterdam. The number of merchants and diamonds kept increasing in the city. The merchants met in different coffee shops. It is at this time that is born in 1886 an informal diamond club within Café Flora, Aneesensstraat. 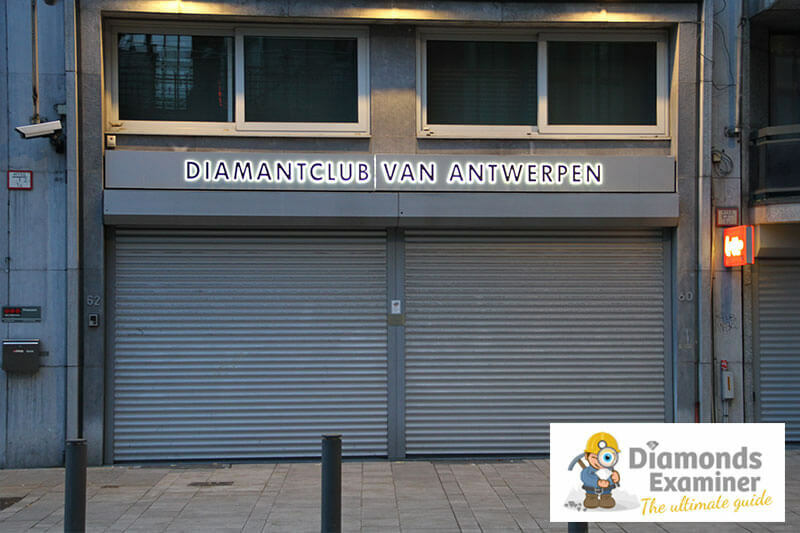 The first diamond bourse emerges in Antwerp in 1983: le Diamantclub van Antwerpen. Shortly after his creation the Diamantclub acquired a building on Pelikaanstraat 40-42 Street. This street is an integral part of the diamond district described above in this article. 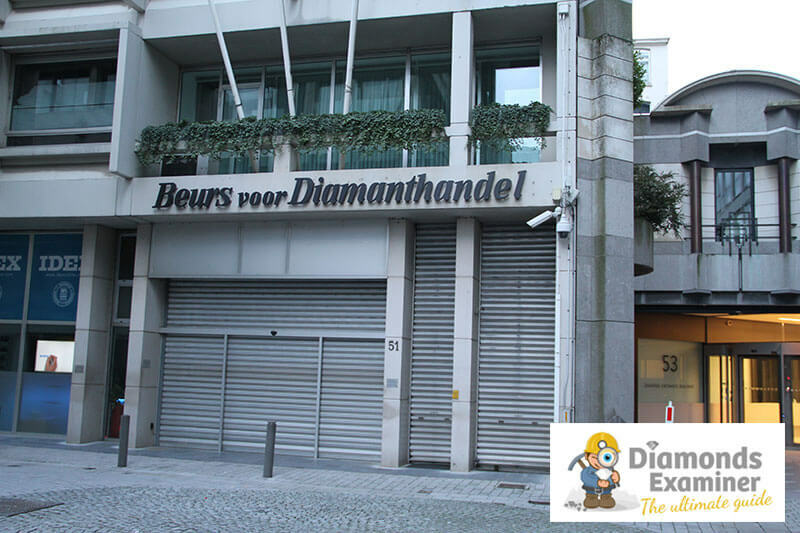 In 1904, a group of diamond merchants who had been excluded from the Diamantclub decided to create a second diamond bourse: ‘’Beurs voor Diamanthandel’’. In 1911 a third diamond bourse emerges ‘’Vrije Diamanthandel’’. In 1929 a fourth diamond bourse is born, ‘’Antwerpsche Diamantkring ‘’. The latter has become the only rough diamonds bourse worldwide. The city of Antwerp was occupied by the German invaders during 4 years. The Nazis had a devastating effect on the diamond industry of Antwerp. Many Jewish diamond sellers were persecuted by the Germans and disappeared. Supplying rough diamonds had become difficult. A little more than 500 diamonds sellers successfully left the city and settled in England. They were able to import many diamonds. Thanks to the British government cooperation those were numbered and protected. At the end of the war, the diamonds were return to Antwerp and the diamond industry resumed its activities. Only 3500 persons out of 27000 returned to work. But at the end of 1945, 11000 persons were back to work. At the end of the war, the diamond market had changed; it had become global. Antwerp controls the market but many trading and cutting places emerged in United States as well as in the Middle East and in Asia. In order to protect all this changes, the World Federation of Diamond Bourses (WFDB)) (saw the light in 1947… in Antwerp. The World Federation of Diamond Bourses is still active to this day. It serves the interests of the 28 world bourses. In 1945 the Belgian government has founded the Diamond Office in order to regulate the diamonds flux. In 1974 the ‘’Diamond Office ‘’ has been incorporated to the ‘’Hoge Raad voor Diamant’’ (HRD) or Diamond High Council that had been created in 1973 on the initiative of the Belgian government and of the diamond industry. In 2007, the HRD has been incorporated to the Antwerp World Diamond Centre (AWDC). In the years 1960 and 1970, India became a diamond cutting center and many Indian diamond sellers bought rough stones in Antwerp. Now the diamond market of Antwerp is controls by the Jewish and Jain communities. As you will be able to see, walking in the diamond district. 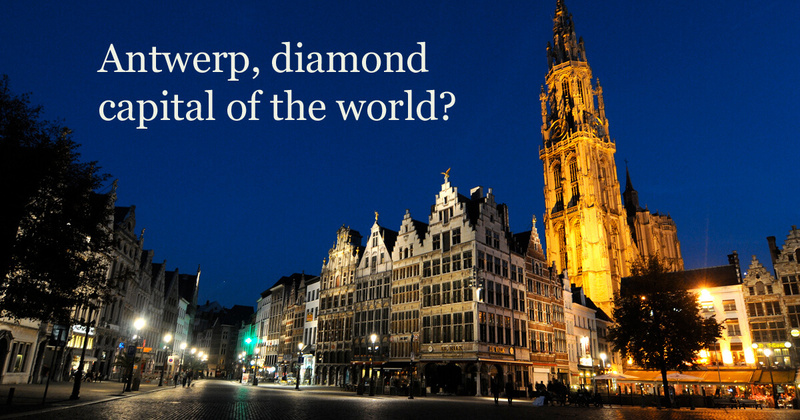 After more than 550 years, Antwerp is still the diamond capital of the world. Antwerp is the diamond hub worldwide. Illustration in figures. Not less than 150 million Euros worth of diamonds are sold in Antwerp each day! Diamonds is an important industry for Belgium: it represents 5% of Belgian exports of goods and services and 15% of Belgian exports outside EU. Despite the development of new important places for diamonds, Antwerp is still to this day the diamond capital of the world.